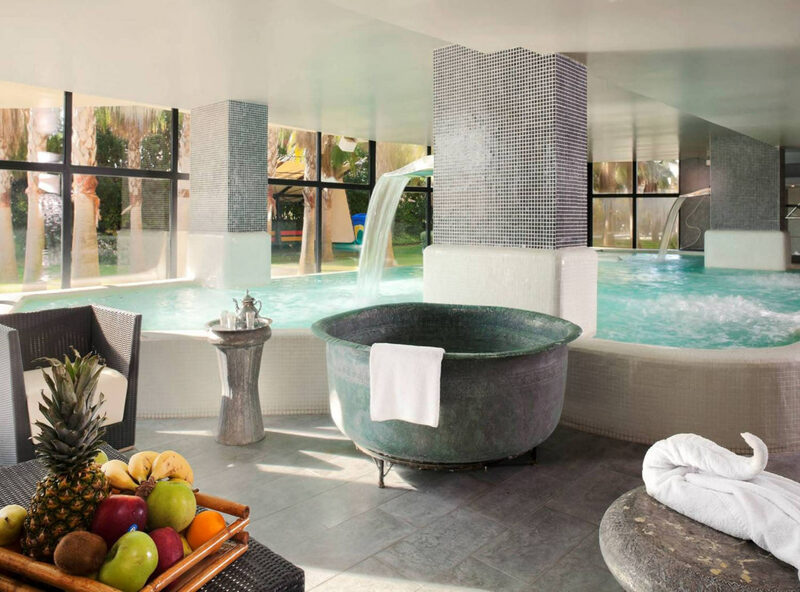 The Senator Banus Spa Hotel is a 5-star-hotel in Estepona (Marbella) only for adults offering luxury holidays close to the beach in the sunny Costa del Sol. Previously this was the Crowne Plaza Estepona. 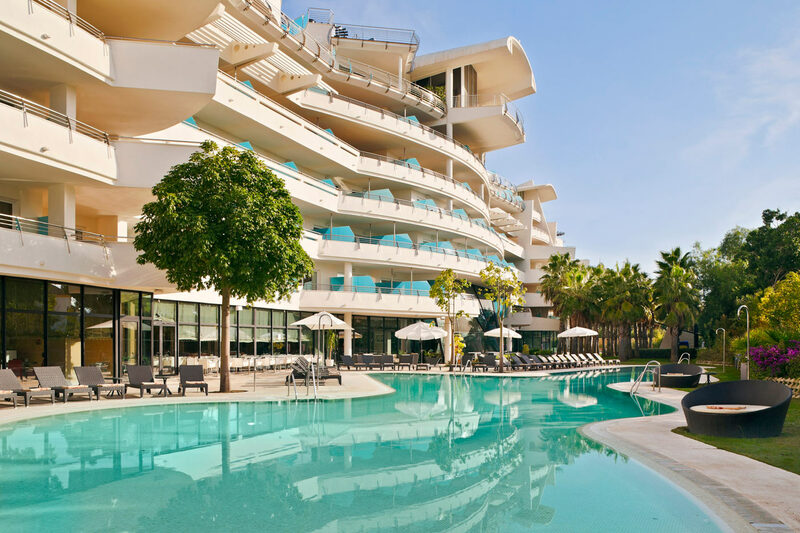 As this has changed to the Senator Group, the group has now a total of six hotels in the Malaga area and a total of 31 hotels in whole Spain. Senator Banus is the first hotel of the luxury hotel chain Senator that is only for adults (age 16 onwards). It makes the perfect place for honeymoons, anniversary celebrations or romantic getaways, either to enjoy a relaxing weekend or holidays in couple or enjoy it with a group of friends having a different and fun experience as the hotel also offers animation shows by a professional team. The location of the hotel makes it perfect to disconnect from daily routine, have a break and to relax and have fun in the best company as it is located in the heart of the Costa del Sol. Specifically between Puerto Banus and Estepona and surrounded with great landscapes and golf clubs that you can also enjoy. The beach is just 500m away from the hotel, being convenient to stay here as you can enjoy all these different activities. There are 146 rooms with a modern design in white and elegant interiors with luxurious furniture with plenty of space to make you feel comfortable. 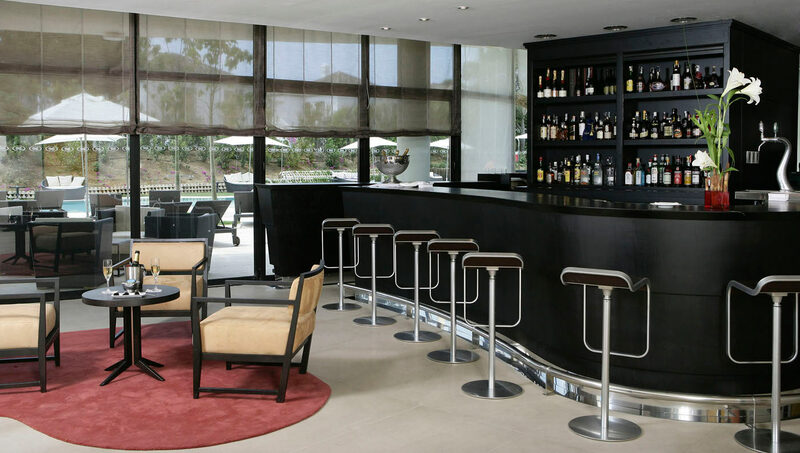 The hotel has plenty of different spaces that you can use such as two outdoor swimming pools, big gardens, a chill out terrace bar where you can have a nice drink or cocktail, a buffet restaurant and a la carte restaurant and piano bar. It also offers a variety of leisure activities like bartending classes, dance classes such as bachata, salsa or merengue and different sports activities. Breakfast buffet is offered with a good variety of premium products such as freshly made bread and pastries, coffee capsules Nespresso and orange juice and they also have a live cooking service where you can have delicious scrambled eggs, fried eggs, omelets, bacon, etc. Apart from this, they have one of the best Spas in the Costa del Sol, with a great thermal area of 700 m2, dynamic pool, hydro massage beds, waterfalls, streams, special showers, sauna, hammam baths and swimming pool. The Spa also has a gym and seven rooms for exceptional treatment in which they offer the highest standards: thermal bioclimatic cabin bed and heated marble beds, among others. The Senator Banus Spa Hotel has many special treatments, including a chocolate therapy for couples or just normal massages. You will always find something to relax and enjoy.